Lepang Beach is a dramatic black sand beach with clear blue water, lush vegetation, lovely rivers, and surrounded by peaceful environment. 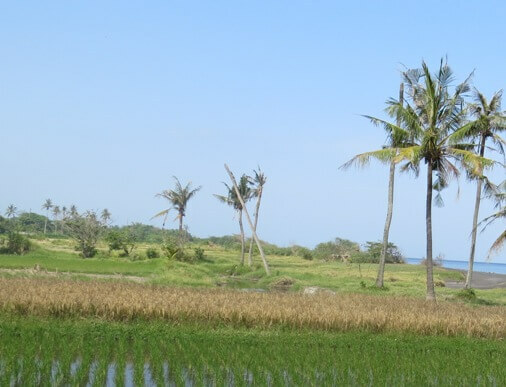 This coast offers exotic view of vast paddy fields, Bali Mountains, and the islands of Nusa Penida. The beach is also for the Melasti ceremony and Balinese will bring the sacred object from the temple to be purified. This ceremony is usually held few days prior to Nyepi Day. This coast is situated in Lepang, Takmung Village, Banjarangkan District, Klungkung Regency, Bali. You can access this beach easily by car. Approximately one hour from Ngurah Rai International Airport (39 km). Head east until you hit the Jl. Prof. Dr. Ida Bagus Mantra, then keep driving up to the Takmung Village, and take the Jl. Subak Lepang. The beach is about 600 meters from the main road. 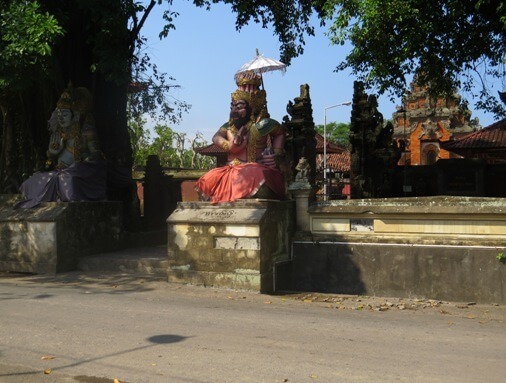 Just before the beach, you will see the Balinese temple with interesting architectural style, called Pura Dalem Sila Pegat. Lepang Beach has suffered severe abrasion in recent years. Many residents lost their land along the coastline. The government along with other stakeholders has handled this issue by installing grout mattress to withstand abrasion. 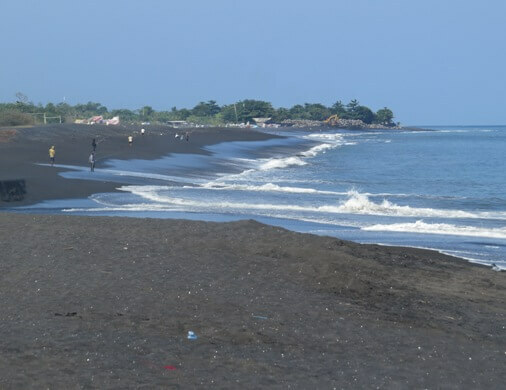 As with the beach of Tegal Besar, this black sand beach is also a place of sea turtles to lay their eggs. During the nesting season, Olive Ridley turtles (Penyu Lekang/Lepidochelys olivacea) will emerge from the sea water into the sand and lay the eggs. 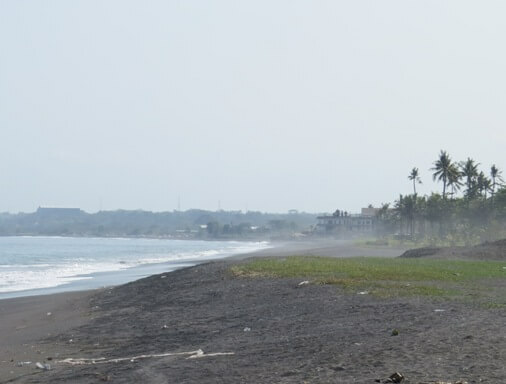 Therefore, this beach is known as one of the sea turtle sanctuaries in Bali. The beach is suitable for jogging in the morning or a fun picnic weekend. Visitors can walk along the sandy path, enjoy a quiet atmosphere with natural scenery or just sit back and hearing to the crashing waves. You are not recommended for soaking and swimming, due to the big and strong waves. This beach has less shade and really hot during the day. Visitors usually come in the morning or afternoon. The sunset here is really amazing. Many surf angler line up on the beach with their spinning rod, signifying this place as one of the surf fishing spots.